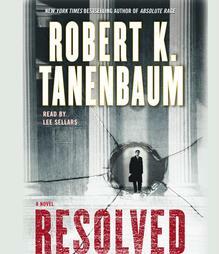 Tanenbaum's done it again: Resolved is a complex, suspenseful tale of justice in the Big Apple, as a vengeful and sadistic killer sets his sights on the man who put him away -- New York Chief Assistant District Attorney Butch Karp. The fifteenth installment in Robert K. Tanenbaum's blistering New York Times bestselling series sees Karp up against one of his most frightening tests, and the stakes have never been higher. A convicted killer named Felix Tighe has escaped from prison and has vowed to hunt down and execute the NYPD detectives who arrested him years ago. Tighe's also planning a fight to the death with Chief Assistant District Attorney Butch Karp, the man who put him away. Felix Tighe's laser-focused, obsessive hatred of Karp has simmered during his prison confinement, where he has spent time with Feisal Abdel Ridwan, a radical Islamic fundamentalist -- and their sordid connection only fuels his loathing of Karp. Now out of prison, with an assumed identity, and dangerously seeking payback, Felix stalks Karp to the very heart of his family as he plans a demonic assault on Karp's daughter, Lucy. This is an average crime story only we know who the perp is from the beginning and we know the two key people survive and Tanenbaum build the story from there. The narrator did a good job. My first book by this author and it was worth 3 stars. Fast paced but similar to others.